This is the summary of consumer reviews for Maytag Bravos 3.6 cu ft High-Efficiency Top-Load Washer (White) ENERGY STAR (Model: MVWX500XW). The BoolPool rating for this product is Good, with 3.90 stars, and the price range is $585-$625. 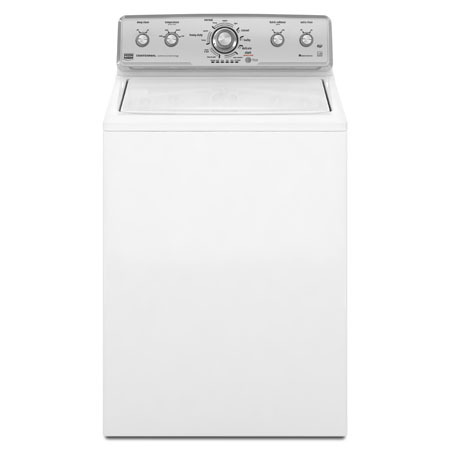 Maytag MVWX500XW Bravos X is a 3.6 cu ft High-Efficiency Top-Load Washer with a low water wash system. 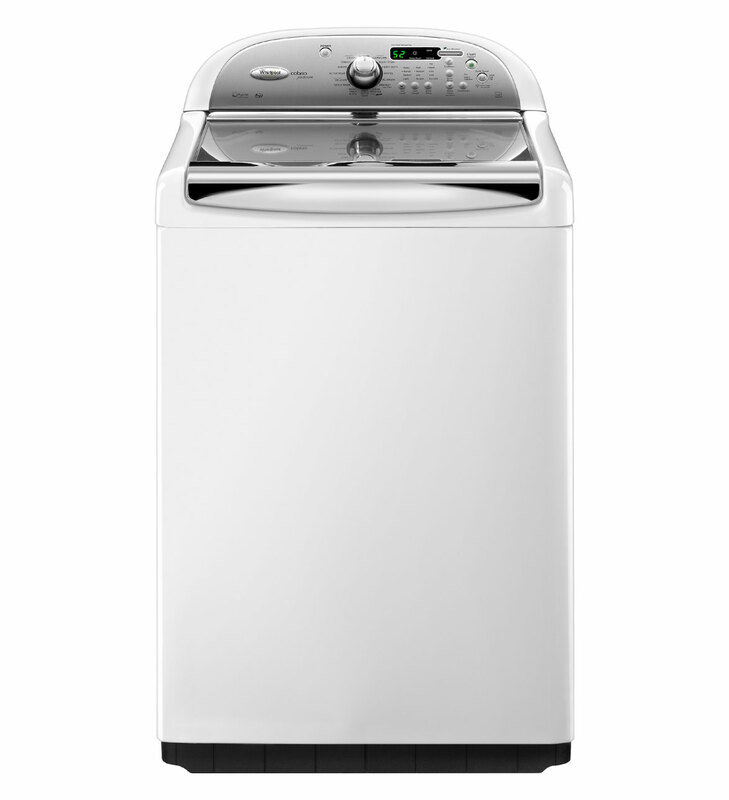 This large capacity washer features low water wash with EcoConserve, which uses 70 percent less water and energy. It also boasts plenty of cleaning power, with 8 automatic cycles and 3 temperature settings to give lot of options. 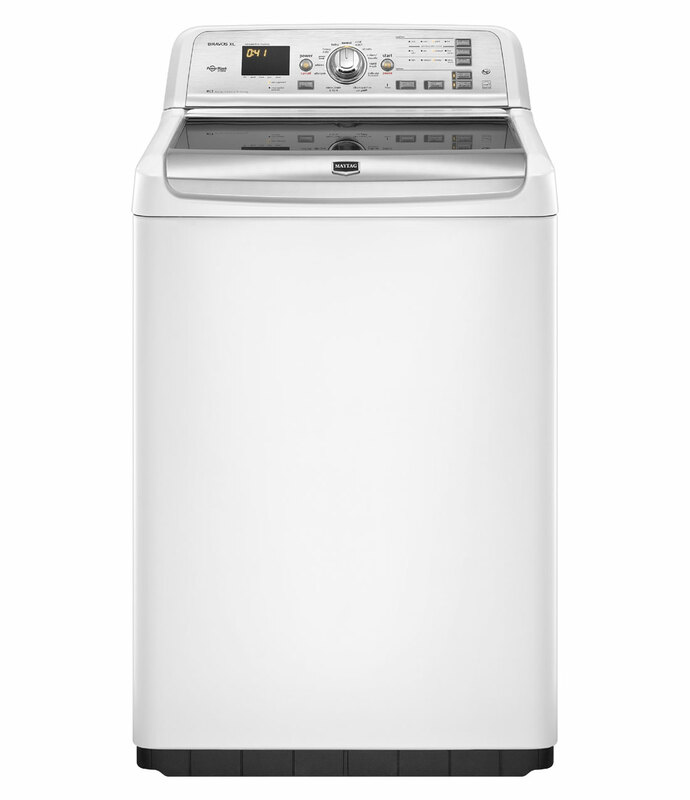 The QuietSeries Sound Package advanced vibration control keeps the washer quiet. Maytag's IntelliClean Impeller wash system comes with a wash plate that continuously moves clothes through the water to clean more gently than a traditional agitator, and takes up less space to maximize capacity. 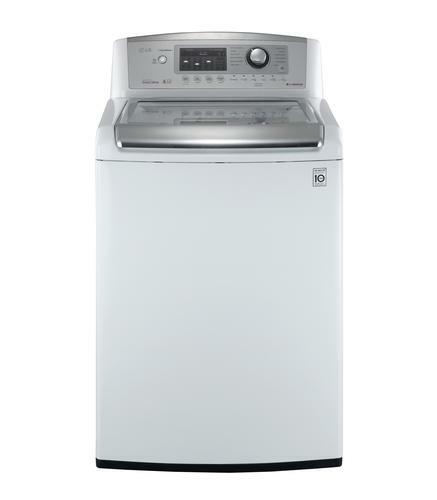 This ENERGY STAR qualified model is liked by many users because it cleans clothes very well. A spin speed of up to 800 RPM at the end of the wash cycle removes more moisture from the load, resulting in faster drying. 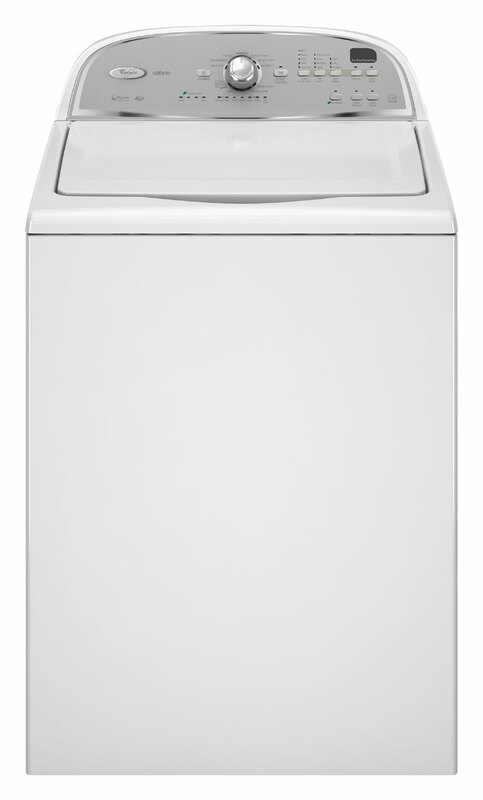 Some users do not like long wash cycles on this washer because they put a lot of stress on clothes and can damage them. Also, the fast spin cycles leave the clothes wrinkled. There were some cases where spin cycle stopped working or the machine became unbalanced during spin cycles. 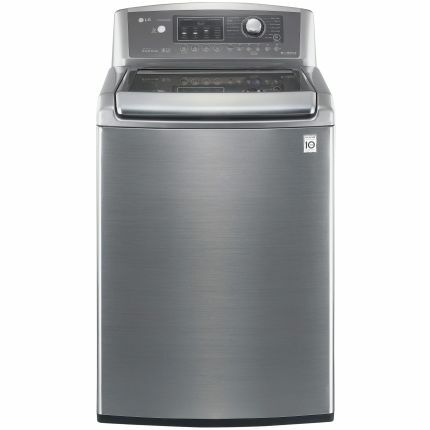 Like some other washers, this Maytag washer also leaves residues on clothes when powder detergent is used for laundry. 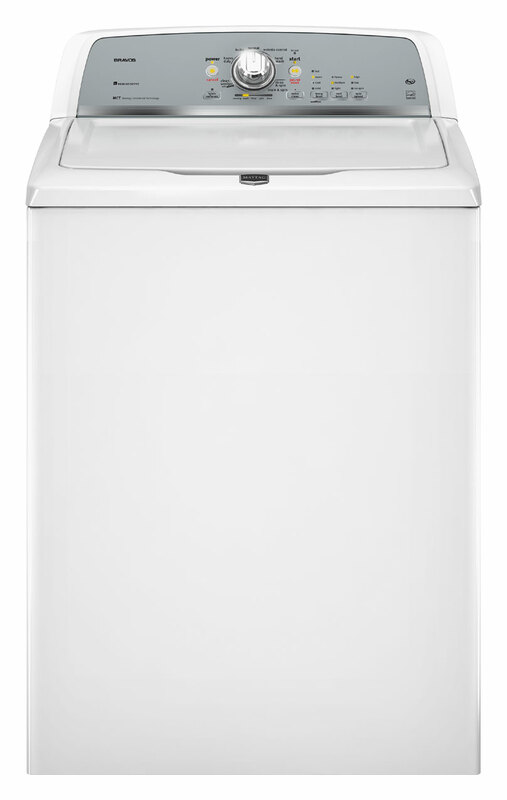 Overall, Maytag Bravos 3.6 cu ft High-Efficiency Top-Load Washer (White) ENERGY STAR (Model: MVWX500XW), is an energy efficient machine which washes and rinses clothes very well. It gets good ratings from the users and provides a good value for its price. Very efficient, quiet, and intuitive. Extremely easy to use, quiet and very efficient. It makes funny unique sounds, but they're quiet and not intrusive. Although it's quiet, I like the chime that sounds when it's done. It runs quiet but beeps loudly which is great since my laundry room is down stairs. Not only does it use far less water, it's much quieter and efficient than our old machine! Automatically adjusts water level to size and nature of load. My water bill has went down since I purchased this washer. Very pleased with this product, cleans the clothes and is a very nice product. I actually love the different features of this product. It's a great product with wonderful features. It's true this product is far better in how the clothes come out so clean and the colors so bright. Otherwise this's a perfect product. Just rub some HE detergent or pre-treat product on the area and it comes out fine. So far so good with this product. The clothes come out very bright. there are time the spin cycle DON'T WORK, AND THE LID LOCKS INSTANCE. Leaves items dirty and cost more due to washing items several times. First time, we didn't choose the proper cycle. At first I thought it wasn't working as it takes time to actually start washing. It spins almost all of the water out of the items being washed so drying time is cut in half. first time with a HE, getting used to it, seems to exceed expectations so far. The machine works great, a million times quieter than the dinosaur we'd prior. Several times, the load didn't spin properly or as expected, leaving the sheets dripping wet. It spins so well that clothes dry in a fraction of the time of my traditional washer. However, the wash and dry level wrings out the clothes too much and requires ironing of clothes that I never had to iron ever before in my life. Depending the spin option chosen, the clothes really are far more dry than they'd be after a cycle in a traditional washer. Your dry clothes slip off on the floor. The clothes come out clean & smell great! The clothes are much more wrinkled coming out of the washer, but after drying, no different than before. We now keep a white cloth on the ironing board to wet the dried dark clothes to try to get the residue removed. I've to re-rinse my dark clothes 3 to 4 times to get detergent off. This washer cleans the clothes very well. But it cleans my clothes and doesn't use hardly any water to get them clean. Gets clothes clean with a minimal amount of water. 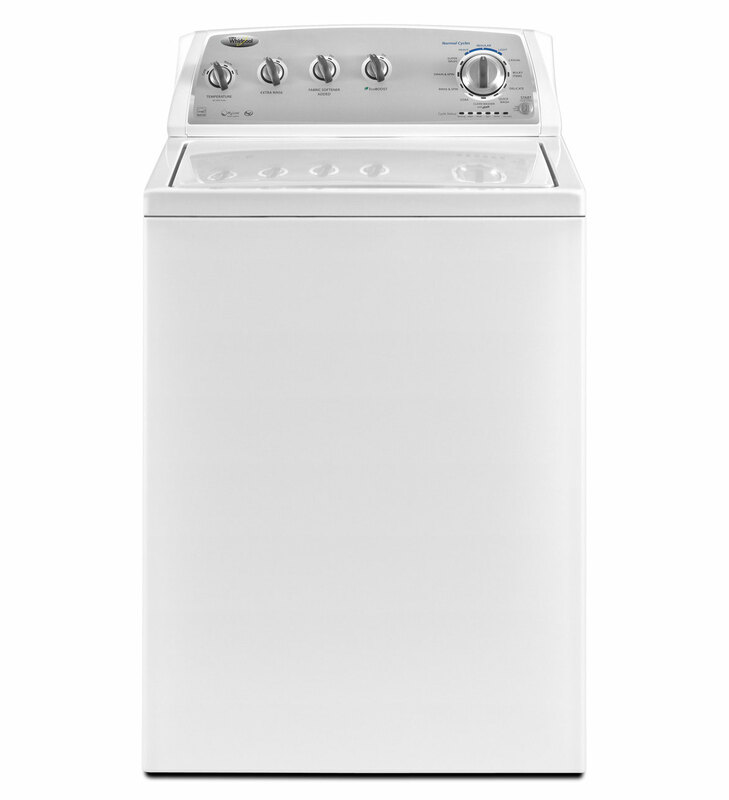 Cleans clothes thoroughly with the high-efficiency capability for water and energy savings. This washer cleans most clothes well, but dirty coveralls I find it doesn't get clean - probably because of using less water. My clothes come out clean and fresh. It gets my clothes clean on less than half the water!. 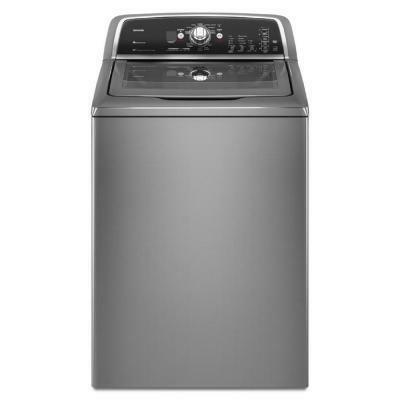 Large capacity, super quiet, uses less water, so less expensive on the water bill, and electric bill, and really gets my clothes clean. This washer if you use powder detergent, at Normal setting with Hot water, always some detergent left on clothes, even trying use rinse/spin cycle to clean the cloths still some detergent left. All washing machines will leave residue with powdered detergent if not disolved in water first. First water bill for only two weeks of using our water bill was over five dollars less then previous month. It's made a noticeable difference in my water bill and where I live the water company gives rebates when you buy water-efficient appliances. Uses a lot less water! Clothes are nearly dry when cycle ends!. i replaced my relatively quite 20 year old washing machine with this machine. The washing machine is very quiet. I love how fast this machine cleans the clothes and how effiecent it's. It spins the clothes dryer that the front loaders, thus saving on my dry time. THIS MACHINE WOULD TILT EVERY TIME IT GOT TO THE SPIN CYCLE. This machine also holds more clothes than the $1000.00 front loader. The machine's performance is good. The machine washes so well...I'd feared it mightn't get things as clean. This washing machine is awesome. very happy with this washing machine; love all the options and it washes the clothes very well. This washing machine uses very little water in the washing cycle which is why they call it high efficiency. I love this washing machine. It washes the clothes clean, rinses them well and spins them dry enough. I can pick from 5 different water levels and my clothes get clean and rinsed in a normal wash cycle. Some cycles take as long as 87 minutes to wash. Because of the scarcity of water being used, the washing machine puts stress on fabrics and destroys brand new Sam's Club brand towels in ONE wash cycle. My clothes are super clean and my wash time is almost cut in half.